I was looking around on the internet last night, searching for ideas for my next column when I found an article titled “50 Interesting Science Facts”. 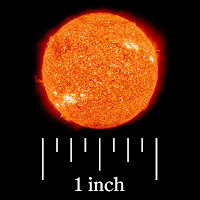 One of the items it listed was “If our Sun were just [an] inch in diameter, the nearest star would be 445 miles away.” Wow, I thought, that really illustrates the vastness of space pretty well. Maybe I could use it somehow. But I was a bit suspicious because the comparison didn’t use the metric system, and we all know that any scientist worth their NaCl uses the metric system! Also, it had a typo—the word “an” was omitted before the word inch. In my day-job I do a lot of proofreading and copy editing so typos always make me suspicious. What the heck, I thought, lets run the numbers and see if it checks out. According to NASA and Wikipedia, the diameter of the Sun is about 1,390,000 km, and the nearest star to us, Proxima Centauri, is 4.22 light years away, or 39,900,000,000,000 km (written as 3.99 x 1013 km in scientific notation). So if we divide the latter by the former, we find that the ratio of distance to diameter is 28,700,000 : 1, so if the Sun were one centimeter in diameter, the nearest star would be 287 km away. Sounds about right, but lets convert to American units to be sure. The number of inches in a mile = 12 in/ft x 5,280 ft/mi = 63,360 in/mi. 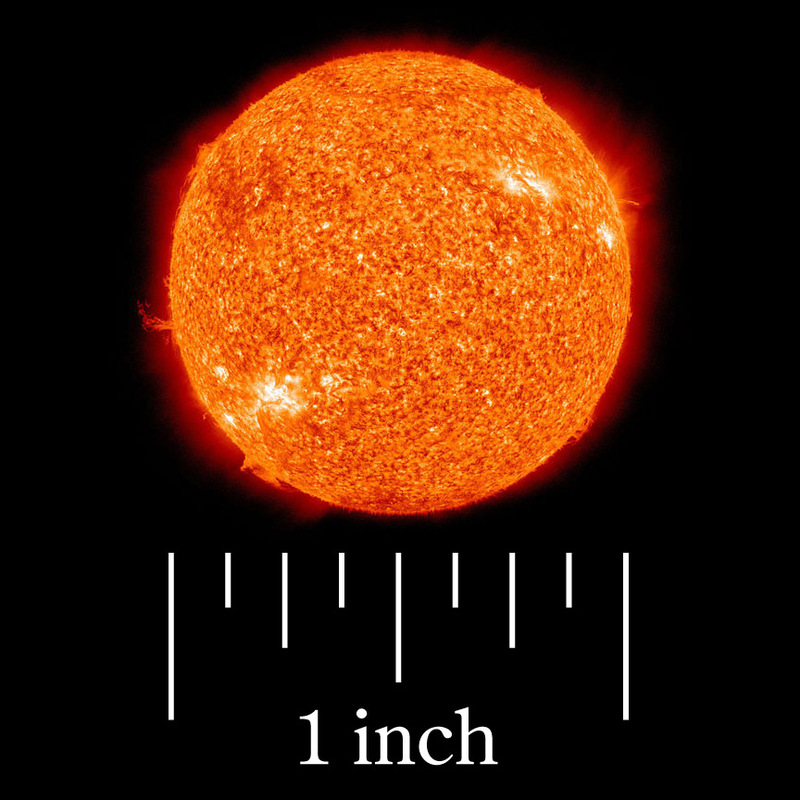 So if we take our distance to diameter ratio, 28,700,000 and divide by 63,360 in/mi we find that, in fact, if the Sun were one inch in diameter the nearest star would be 453 miles away. Our “interesting fact” is off by eight miles, or about three percent! If they had just written that it would be about 450 miles away I would have no problem, but when you present information to three significant digits then it should be accurate to three significant digits. But now things get even more fun, because on the internet an incorrect fact gets propagated far and wide rather quickly. Doing a Google search on “If our Sun were just inch in diameter, the nearest star would be 445 miles away.” it turns out that I wasn’t the only one that thought it was an interesting fact, just the only one to check it. There were over 3,000 results that had the same incorrect information, and all but nine of them had kept the typo as well. Even a monkey can copy and paste I guess! Good science requires attention to detail and willingness to question everything, and I want to encourage my readers to take the time to check details and ask tough questions. So instead of a quiz this week I have a challenge instead: find your own scientific “fact” that is incorrect and report it to me, either by e-mail (douglasclark@sbcglobal.net) or through my Facebook page (keyword weeklysciencequiz). If you find something, I’ll give you credit on an upcoming article. Happy hunting!